Software Island supports small and medium sized businesses to conceptualize, design and develop websites that are user friendly as well as search engine optimized and social media ready using WordPress. 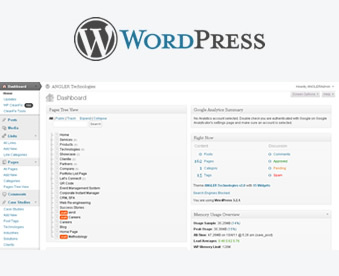 Software Island offers custom WordPress theme design and development, custom WordPress plug-in development, or ongoing support for your existing website. Software Island's WordPress developer / Skilled WordPress experts also have wide range of experience in WordPress CMS, Custom WordPress development, WordPress customization and WordPress website development. Our experienced and dedicated WordPress development team is highly qualified in all aspects of WordPress blog customization and custom theme designing services.